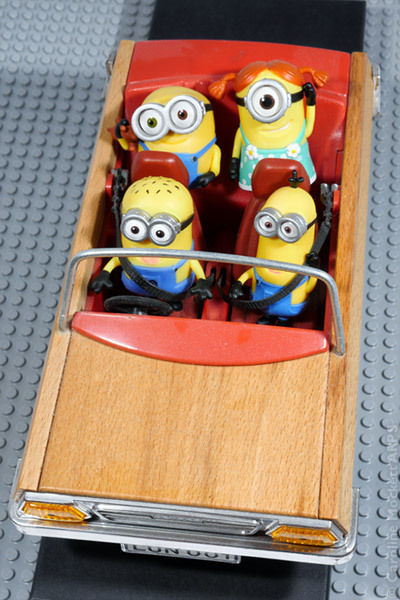 The sun came out and the Minions decided to go for a drive. Here you can see Bob (with Teddy) and Pigtail Minion enjoying a back seat view with Kevin riding shotgun and Phil at the wheel. They love the mobility that their little car gives them – perfect for Topic 17 – Freedom.